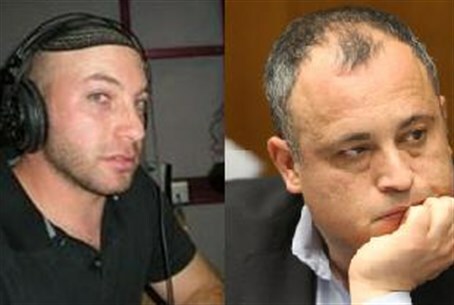 MainAll NewsMiddle EastLabor MK Condemns EU Boycott as "Bad for Arabs"
Labor MK Condemns EU Boycott as "Bad for Arabs"
MK Hilik Bar condemned the EU boycott but defended the "Two State Solution." An Arutz Sheva show host debated the points. Member of Knesset Yehiel "Hilik" Bar (Labor) condemned the recent European Union decision to boycott all goods and services outside Israeli's 1949 armistice lines. "I'm sorry to disappoint you by stating I'm definitely not joining the celebrations that some people on the left are making over this EU decision," the Labor party member said. He made the comments live on Arutz Sheva's streaming audio cast with Josh Hasten, the host of the Reality Bytes podcast. "It will not contribute to solving the Israeli-Arab conflict. It will not contribute to the Palestinians who are working in the territories and it will definitely not contribute to Israel," he said. On Tuesday, the European Union issued orders forbidding its member states from cooperating, transferring funds, giving scholarships or research grants to bodies in neighborhoods of Jerusalem outside the 1949 armistice lines, or in the Golan Heights, Judea, or Samaria. The new instruction, promulgated by the European Commission, which is the operative arm of the EU, sets parameters for cooperation between the EU and its members states, on the one hand, and Israeli governmental and private elements on the other. The instructions are for the years 2014 – 2020. MK Bar called it a bad decision, commenting, "It hurts the Palestinian workers. It hurts factories managed by good people who are not involved in this conflict," he said. He was referring to such areas as the Barkan Industrial Park which according to the Shomron Regional Council, has some 140 manufacturing facilities employing over 6,000 workers. Barkan as well as other job centers, farms and other places throughout Judea and Samaria employee Israelis of both Jewish and Arabic ethnicity as well as residents of the Palestinian Authority assigned districts. "In any other conflict you don't have these kinds of sanctions and I don't think that the Israeli-Palestinian conflict should be the first one to have this kind of decision implemented," MK Bar added. Nevertheless MK Bar defended his opinion that a "Two State Solution" is necessary as evident by a bill he submitted to the Knesset this week. He argued the point with Hasten and answered chatters during the live broadcast.